Neal: There’s a huge amount of opportunity that is not being allowed into the space because the technologists are not getting their due. Because we’ve managed to successfully disrupt most industries in America, but we haven’t managed to disrupt large multifamily yet. My opinion is, it’s only a matter of time. I’ve only invented one saying in my life, Darrin, but I’m very fond of it. My saying is, that the Bible got it wrong by one letter. One letter. It’s not the meek that shall inherit the earth, it’s the geek! Announcer: Welcome to CREPN Radio for influential commercial real estate professionals who work with investors, buyers, and sellers of commercial real estate coast to coast. Whether you’re an investor, broker, lender, property manager, attorney or accountant, we’re here to learn from the experts. Darrin: Welcome to Commercial Real Estate Pro Network, CREPN Radio. Episode No. 187. Thanks for joining us. My name is J. Darrin Gross. This is the podcast focused on commercial real state investment strategies. Weekly, we have conversations with commercial real estate investors and professionals who provide their experience and insight to help you grow your real estate portfolio. Today my guest is Neal Bawa. Neal is the founder and CEO or Grocapitus. He’s also the CEO of MultifamilyU, an apartment investing education company. He successfully syndicated over 1,800 units, that’s 12 syndications, and in 8 states currently and we’re going to hear more about where he’s going in the future here. First order, mind you, if you like the show, I can’t invite you enough, can’t stress enough, we would love to hear from you. If you can like, share and subscribe, again, we would love to hear from you. Also, I want to remind you that if you’d like to see how handsome our guests are, you can check out our YouTube channel, Commercial Real Estate Pro Network. With that, I’d like to welcome my guest, Neal Bawa. Welcome to CREPN Radio. Neal: Thanks for having me on the show, Darrin. I’m very excited to be here. Darrin: I’m really looking forward to talking with you. Before we get into our talk today, if you could take a minute and share with the listeners a little bit about your background. Neal: Sure. I’m definitely different from most of the people you tend to have on your show. I am not a broker. I haven’t flipped 100 homes. I haven’t done 1,000 loans. I’m a technologist that accidentally fell into real estate through his day job in 2003 when my boss realized that we were making a lot of money and he didn’t want to pay a lot of taxes and so he decided that he wouldn’t rent out the offices that we were renting anymore and went out and bought a shell and expected me to build that shell out into a fully-functioning campus in nine months and two days. That was the most terrifying period of my life, but it seems like terror goes well with learning. When you’re terrified that you’re not going to be able to do something, all of your inhibitions fall away, and you do something wonderful. We did it with one day to spare. We were supposed to move in on the 4th of July, we moved in on the 3rd of July in the evening. That’s how my real estate career began, in a sort of weird, odd, large commercial first way and then of course, like everybody else, it went single family, then triplexes, and then large multifamily. Darrin: Got it. You mentioned nine months and two days. Was there a significant reason for that timeline? Neal: $10,000 a day is a lot of motivation. Darrin: Yeah. Again, like you were saying, the motivation. What’s that saying, that the motherhood of invention? Neal: Yeah. Necessity is the mother of invention. In this case, mother, grandmother, the whole damn family. It was incredible. Darrin: Got it. You were in a technology company. Your boss got into real estate by virtue of he didn’t want to continue paying rent essentially, is that right? Neal: Absolutely. I mean, we were running a tech company. It was a brick and mortar technology company that had large classrooms, so it was an education company. We did this first campus that I just told you about and then after that, in two years, the company grew so much that we ran out of space and the building behind us, behind the first campus, was much larger, much more expensive by then, because the economy had recovered. We were like, “We’ve got to go buy this building and do the exact same thing.” It was also a shell, so we had to build it up from scratch, but we didn’t really have enough money. I’m like, “Okay, this sounds really good. But I don’t think I’m going to get anywhere with these people. 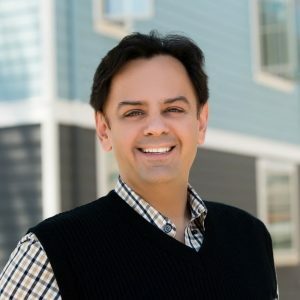 They’re not going to just hand out $400,000 each so that we can do this.” What was amazing is, when we actually did the pitch and there were a bunch of Indian doctors in Fremont, California that we pitched this to, I think it took us two hours to raise about $3 million. What I didn’t realize, Darrin, was I was syndicating. What I was doing is an actual syndication. I had no idea. I didn’t even know that word existed until four years later. It must have broken every SEC rule, but at that point, nobody cared because there were real estate people involved. A bunch of doctors and a technology company were buying real estate. It was different from anything that the SEC wants to monitor. We basically did that and then I realized later on why the heck it was that it only took two hours to sell this idea. Because it was incredibly good for the doctors. Nobody was charging an acquisition fee. Nobody was charging a split. They basically ended up getting three 2,000-square-foot built-to-match suites and then subsequently we rented it back from them. That was 13 years ago, and those suites are still rented. Can you imagine how good the doctor had it? Eventually I figured this out and I was like, “I should’ve charged a lot of money!” Do other people charge money? I started researching and I realized, ah! Other people do charge money to do these kinds of things. It’s called syndication and that’s when my passive syndication career started. Darrin: Wow, fascinating. The business, are you still active in the tech business? Neal: No, that business was sold in 2013 but it’s tied back to my story. Even though I realized that syndications were awesome, this was 2007, 2008. I was afraid of them because I really didn’t know large multifamily well enough. Like everybody else, I went and started buying single family homes. My timing was astonishing. I started buying in late 2008, early 2009, buying at 30 cents on the dollar. Bought 10 homes in a place called Madera. All extremely cheap, all cash flowing on day one. I was really happy with them, but then realized that there’s a 10-loan limit. I didn’t actually realize that there was a 10-loan limit until I hit the 10th loan. I refinanced, got my wife’s name off, went to Chicago, bought 10 triplexes in her name, and then realized that just because I got 10 loans, doesn’t mean that she got 10 loans. Well, she was a schoolteacher, she only got four. I got stuck with six homes that I bought in cash and couldn’t refinance. Then I was like, okay, what happens when people run out of these loans? What’s the next step? Is it that same syndication thing that I saw back two or three years ago? And it was. This is 2011. I went and invested a bunch of money because the business was cash flowing like crazy and I was paying taxes like crazy. I invested a bunch of money into 13 different syndications. All passive, not doing anything active. The challenge was though, I realized almost immediately, oops, this is not a good time to be investing in multifamily because 2011 was when the occupancy was lowest in that cycle. It started rising in 2012. 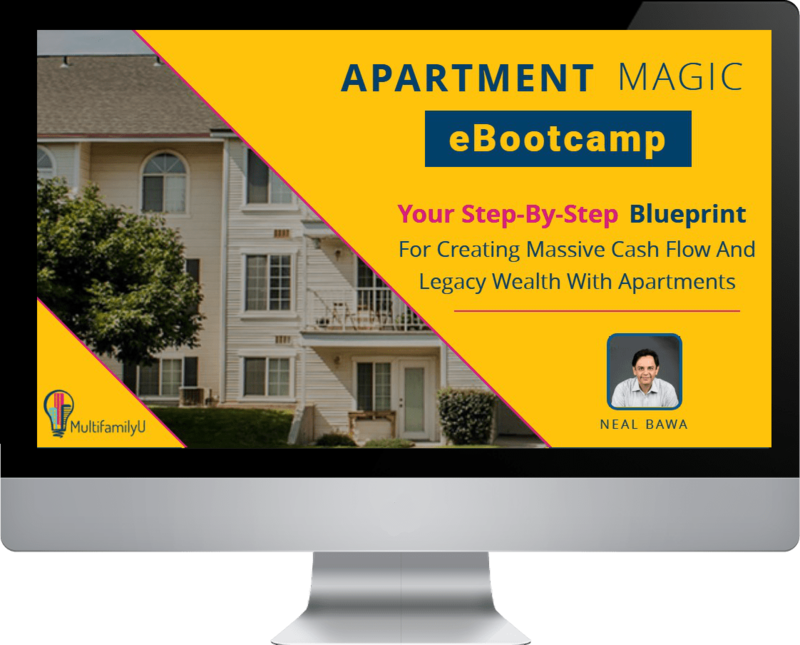 A lot of these apartment complexes were empty or almost empty, so I wasn’t getting any cash flow for more than a million dollars invested. They said okay, they thought maybe I’ll sit in once. But I’m a stubborn sort of character, so I went over a year to like 200 property management meetings, Darrin. Neal: And I learned an insane amount of stuff that is in no book. It is not in any of the books that are in Amazon, it’s not in any podcast, it’s not in any course. This is the sort of stuff you learn when you’re actually in calls all day about all the sort of stuff that happens in these properties. I realized that I was actually learning an incredible amount that not even all of those people knew because some of them only knew how to market well. Some of them knew how to put really good lipstick on an ugly pig. Some were really good at selling high and buying low and some of them were really good at management. But not all of them were good at everything and I was kind of getting this view of like 12 different companies doing their stuff. I realized I had something of value. I also realized that I would forget everything that I was learning, if I didn’t go and teach it to somebody else. I sort of became famous in the Bay Area because I would come and teach all these courses that people would line up to attend and my Meetup exploded and became the largest in the U.S., more than 4,000 people joined that Meetup, so I developed a brand. There were also lots of other great presenters. There was a partner that I basically went into partnership with a mentor and he was great, and he knew a lot more than I did and he would come in and teach there as well. But we were providing so much value that that Meetup Group grew at like 10X the rate of every other Meetup around it. Before we knew it, everybody was trying to give us money. We’re like, “Okay, people are trying to give us money. I’m about to sell my company. Let’s do this on a full-time basis.” Then we just got started and the first project was just like 14 units. I think it was 12 units. Then the next one, we jumped straight to 235 units and this sort of kept going and it’s been a fantastic journey of getting to 1,800 units and $150 million portfolio. Darrin: Wow, what a story! That’s powerful. I want to go back to—you talk about sitting in all these meetings. Are you actually at the property with the property manager in that meeting there? Or where were you? Were you with the investors? Neal: No, I’m in the phone call. I’m in the call meeting where—every one of these companies would have somebody known as an asset manager that would always be on the call. Then the property manager would be on the call and sometimes the regional property manager would be on the call. Neal: Those calls are really great. Yes, they’re terribly boring because you sit on the call for an hour and you get like two or three really awesome nuggets. The rest of the time, they’re very mundane. I am very strongly attracted to powerful learning. The kind of learning that can create an insane amount of profit or an insane amount of value. I was getting those nuggets. I just had to be patient throughout the rest of the calls. I went through somewhere between 150 and 200 of those calls. Darrin: Let me ask you, that’s a lot of calls and a lot of nuggets. Is there one that stands out that was really just like—I mean, opened your eyes to, “Oh my god!” Is there one that really stands out? Neal: Oh, easily. Absolutely. My business, Grocapitus, my company, MultifamilyU, my education portal, is structured around the first aha that I had. The aha moment is that the multifamily real estate industry in the U.S. is a bunch of old boy network fat cats that think that they’re technologically advanced because they use Excel and AppFolio. That is their concept of technology. Neal: They’re like, “We are so advanced. Do you know we use AppFolio? We used to use Yardi and it was ugly and now we use AppFolio and it’s beautiful.” That’s their concept. I looked at that and I said, “People like me that come from core technology can disrupt this 67 different ways.” Today I’m disrupting them—and this is not a number I picked out of the top of my head—128 different ways that I’m taking their model and just standing it on its head because we learned so many things in tech that these guys just don’t understand. They don’t have a concept of all the things that we can do. For example, I have never yet come across a syndicator in the United States that generates leads for his properties. Not one. And there’s thousands of syndicators, right? Not one generates leads. Ask me how many leads I generated from my portfolio last month? Me. Not the property manager. Darrin: How many did you generate for your property? Neal: 30,000 tenant leads last year. Neal: 30,000 tenant leads. 62% of all leases signed at my properties came from leads that I generated. I took the processing of those 10,000 leads for that property and outsourced it to the Philippines. Now if you call that property—I still own that property—you are not going to Chicago. You are going to Manilla, Philippines, where that person will ask you a lot of questions, they’ll figure out if you’re appropriate for that property, 3X income, no eviction, whatever the standards are. Then after she’s processing, she will actually schedule you at the property, let’s say 10:30 tomorrow. Then she will go into AppFolio, put that information in, and then at 10:00 the next morning, she will call you and remind you. At 9:30, she will send you a text message. All of that in the Philippines. That’s 1 out of 128 outsourcing models that we built for our properties. Neal: What was amazing was I did that, that epiphany was six years ago, in 2013, six-and-a-half years ago. I still haven’t found a syndicator that does what I do. Darrin: Let me ask you because you bring up an interesting point. I wonder, is it—and I don’t want to say lazy, but do they not feel the urgency, the sense of urgency? I know when I have a property and there’s a unit that’s vacant, I’m thinking as soon as we know it’s going to get vacant, we better have that scheduled for whatever renovation or whatever turn or whatever. I want it to be turned within a week. I don’t want it to be like just sitting still. Neal: No, I don’t feel like they don’t like what I’m doing. I just feel like they’re not set up for it and there’s a big difference between those two statements. Yes, there’s less urgency in most property managers than most owners would like. I mean, isn’t that true of single family as well? I mean, we want them to turn units in two weeks. They’re turning units in a month or two months. That’s a constant battle that goes on between asset managers, like me, and property managers of the type that we hire. The key aha moment is, property managers are making 3-1/2% of gross. Think about this, Darrin. I am not going to bash property managers, because I don’t think anything is wrong. Neal: Think about how our system is designed poorly. Let us say I have a property and it has a covered parking spot and that covered parking spot is $40. $40 a month. Do you think there is a property manager in the United States in any size of asset that actually has ever lifted a finger to sell a $40 covered parking spot, knowing that his 3% is $1.20? They don’t do that. They don’t sell covered parking spots. Neal: That’s it. Nobody actually ever makes a phone call to sell a covered parking spot or send an email or send a text message because the motivations of the owners are not aligned with the motivations of the property manager. Now, I’ll tell you how we think of that $40 covered parking spot, and this is going to blow your mind, because we’re talking about a difference of thousands of times in terms of value. Okay? I just told you what the property manager is thinking, right? $40, he does the 3% math and he’s thinking, $1.20, hell, no, I’m not going to spend any time on it. Now, here’s what I’m thinking and here’s what my fellow syndicators are thinking: We’re thinking, if I could keep this $40 slot occupied for a year, I would make $520. If I could keep it occupied for five years, we would make $2,400. Already, the gap is massive between $1.20 and $2,400. Neal: But that’s not all of it. Because if it’s making $480 in a year and you can keep it occupied for five years, the next guy that buys the property, on a six-cap property, is going to give you $480 multiplied by 16. He’s going to give you over $7,000 for that one covered parking spot, plus the $2,400 of cash flow you already made over 5 years. Neal: How is it possible for property managers to do exactly what syndicators say when there’s a 9,000X difference in the way that we look at an opportunity? What I realized was that there was no way to align those. There was no way. You can’t tell him, “I’ll give you another five bucks,” and align it. It doesn’t work. It still wouldn’t work. You’d just be giving away free money. When I had that epiphany, I realized I was onto something very smart, very strong. I had incredible value. In a property that’s 250 units that let’s say you bought for $15 million, that 20% of the top is about $3 million for your investors over 5 years and they’ve only put in $6 million. You’re taking them halfway to doubling their money by just optimizing the top 20%, that as far as I know, no one in the United States is doing. Neal: That was my epiphany. It took many years to basically bring it to life. Darrin: That’s incredible. I think more of your—just kind of thinking it through. Not only the missed opportunity, but then also recognizing the alignment issue. Because I think it’s natural, most people I talk with, it’s the level of frustration between them and the property manager, leaving money on the table or not, going after that money. But rather try and beat that property manager to comply, you said, “Hey, you’re good at this, perfect,” and you have this other system. I’m assuming this is part of the system that you’re using to generate the leads. So, it’s another element there. If they’ve brought the lead in, they’ve booked the appointment, the potential or prospective resident shows up, they go and they tour, they sign a lease, is it at that point that they’re reentered into the back end for the follow up on the carport or whatever that is? Neal: Yeah, it’s a set of processes. Neal: We’re looking at what else can we sell? Is it washer/dryer combos? Is it carports? Can we look at pet fees? We have cameras at all of our properties. No one has ever used cameras to follow pets to the apartment door and match them up to the pet fees in AppFolio—we have. Darrin: All right. That’s awesome. I mean, clearly coming from a technology background, you’ve got an edge probably over most, like you said, kind of the old boy network, if you will, just from a standpoint of kind of a low tech, but more of a—almost like a secret industry to the standpoint of—there was somewhat of a high-barred entry based on the capital requirements and they weren’t really out raising a bunch of money. It was more of kind of a friends and family or some familiar—I mean syndication I know has been around forever, but before the **** [0:24:42.9] and that, I think most of what I knew up to that point was more through like a CPA. I’d know of people that had money and he might know of somebody that had a project. It might be the—not necessarily syndicate, but he would connect the parties, kind of thing. Neal: Yeah. I think that it was a little bit of a black box. What I talk about in my seminars, I’m teaching pretty much across the country all the time. I just came back last night. I taught last night. I’m teaching tonight in the Bay Area and then I’m going next to—the week before last, I taught in Utah. Next week I’m teaching in two different places, actually, teaching at The Best Ever Conference in Denver, followed the very next day teaching with Rod Keefe [phonetic] in Houston. A lot of it is to basically demystify this black box because there’s a huge amount of opportunity that is not being allowed into the space because the technologists are not getting their due. We’ve managed to successfully disrupt most industries in America, but we haven’t managed to disrupt large multifamily yet. My opinion is, it’s only a matter of time. Darrin: That’s good! I like that. Hey, I want to ask you. You’re talking about the technology and the disruption and what you see and what you’ve experienced. There’s a—I guess there’s two camps and there’s always two camps to any side of an argument or discussion or opinion, but I think that there’s kind of a growing crescendo of people saying that 2019 is going to be a turning point or the rents can’t keep growing or the demands—something is going to change. We’ve been on this upward trend for a long time. Clearly you’ve been in the market, participating in the market long enough to see it all rise up. Myself, I have, I guess, more of kind of a sense of more cautionary underwriting, just as things continue to—as the cycle continues to go long, as interest rates start to rise up. I mean, there’s all sorts of indicators that come to mind. Then I hear these other sides are like, all of these other things that support that the Baby Boomers now are downsizing out of their homes, they don’t want the responsibility of the home, just have an apartment. You’ve got the Millennials all apartment-bound. I know the cost of getting into a single-family home is not getting any less. My curiosity is, with somebody like you, what is your view of where we are today and where we are going? Neal: That’s a tough one and I actually teach a webinar. It’s on my website, it’s my most popular webinar called Real Estate Trends 2019. Trends 2019 talks about the two opposing forces at work. On the one side, we’ve got problems with affordability. We definitely haven’t overbuilt in this cycle, so that’s not an issue, but affordability is a key issue. On the other side, we’ve got all of these demographic trends that very, very strongly support multifamily. We’re not building enough single-family homes; we’re not building enough multifamily. All of these Millennials have too much student debt. The home ownership rate continues to fall, blah, blah, blah. You’ve got those two opposing forces and I talk about which one of those forces I think is superior. We’ll talk a little bit more about it, but for those that really want to spend an hour in this with about a dozen powerful graphs and charts, check out the Real Estate Trends 2019 presentation. It’s recorded and it’s on my website, MultifamilyU.com. That’s Multifamily, followed by the letter U, dot com, so check it out there. But let me give you a few pieces of that. I see multifamily continuing to be strong and that has nothing to do with an upcoming recession. Real estate caused the last recession. The rising price of oil had something to do with it. We caused the last recession. The next recession is inevitable, it will come in, but there are two beliefs that I have. No. 1: Real estate will not cause the next recession. It’s going to be caused by—it could be municipal bankruptcies, could be Chicago going down, could be a black swan event like a crash in the Japanese bond market, or perhaps Italy. It’s going to be caused by something, but it’s not the real estate industry. That’s my first belief. My second belief is that we are unlikely to see a repeat of 2008 in the next recession. Because 2008 was truly a once-in-a-century event. The crazy things that happened there, the imbalance in the marketplace, is not reflected in the market at this point in time. We have lending standards that are a lot better. The properties are owned by people that can afford to sit on them for three or four or even five years if needed. None of that crazy stuff that happened in 2006 or ’07 is happening. For those of you that don’t believe that, just Google “delinquency rates” or I should say “default rates” for single family and multifamily in 2017 and ’18. We’ve got incredibly low default rates for both kinds, especially for multifamily. There’s basically no defaults happening anywhere in the U.S. for multifamily because the sector is very strong. Going in with that strength to 2019, I don’t think 2019 looks any different from 2018, except I don’t expect cap rates to decline any further, which means prices are going to hit a plateau and rents, I think, are going to hit somewhat of a plateau. We should still see 2-3% rent growth. Not the 5-6% sort of crazy growth that we’re used to. But having said that, 3% annualized rent growth in the U.S. is not a bad number. Compare that to long-term growth, it is very healthy. Also, something else to note is that if the United States averages 3% in rent growth, which is a number that I think will happen in 2019, doesn’t that mean that the best metros in the U.S. are going to be at 5 or 6 or 7? Because there’s plenty of places in the U.S. where rent growth is 0. The Midwest, the Rust Belt, there’s lots of places where rent growth is 0 or 1%. You’re still going to have a bunch of cities that are going to be at 5 or 6%. Now, a lot of people are saying, “No, no, that’s not going to happen because of affordability,” and blah, blah, blah. That’s not true. Affordability ceilings are being hit in Denver, Seattle, San Francisco Bay Area, Los Angeles, New York. But this is 50 million people. We are a country of 320 million people. Show me a bunch of second-tier metros where tenants are paying 50% in rent. They’re not. At this point, tenants are paying right between 30 and 35% in most major metros. The ceiling, and we’ve seen this from Seattle and San Francisco Bay Area in New York, the ceiling is actually over 50%. You could see 3% rent growth for 10 straight years and not hit that ceiling nationwide. Obviously, at some point, every city has to slow down. We’re seeing that slow down in the San Francisco Bay Area at this point in time because they’ve hit that affordability ceiling, but it is way above the rest of the U.S. It takes a long time to get there. That’s my argument. Now, my other argument is that we are not at a turning point in history where there is no way to cheaply construct single-family homes and multifamily homes. If you look at the presentation, I have data on this. But the key is this: A home that cost $43,000 to build or a room that cost $43,000 to build now costs $100,000 to build. Why? Because China is building a city the size of New York every three months. India is building a city the size of New York every four months. They are busy building their own infrastructure so you can’t get cheap stuff anymore. Cost of construction has doubled that of inflation. As a result, we are now at the point where we simply cannot build more, even though demand is very, very high. There’s a chart in my presentation that shows that in 2009, which was the peak of the recession, vacancy for multifamily was 8%. Today, it’s 4.4%, even though in the last three years alone, we built a million brand new units. What about all those people that in 2015, ’16, ’17, and ’18 were saying gloom and doom because we’re bringing all this new inventory online? With a million units coming in in the last three years, show me one metro in the United States, just one, that is at negative rent growth today. I’ll tell you, there is none. Neal: Even in the Class A market, 90% of the Class A market has positive rent growth and they had more than 90% of the incoming inventory. The big reasons for this simply are that the homeownership rate is falling. We cannot build new apartments at decent prices, so we’re not building enough in the single-family market, we’re not building enough in the multifamily market. There’s still head room for rents to go up. My belief is, 2019 looks like 2018 with moderation in cap recompression. Pretty much plateaued prices. Darrin: Clearly, you’ve put a lot of thought into that and I appreciate you sharing that with me because I think for myself and others I’ve talked with, there are certain signals that you can look to, that you can say, “This looks like what we ran into before,” or “This looks like what we ran into before.” Those are kind of like your yellow-light indicators, kind of thing. But I think really, where I’m more of a fan and a believe of what you just said, was just that cost to build single-family housing. I think that historically, what’s happened as rent has increased, what you’ve seen is a renter that’s said, “Enough of this, I’m going to buy something.” They’ve left that apartment or whatever it was, and they’ve gone out and bought a single family and they were probably paying that or near what they were for rent and now they’re building equity. What I’ve seen, at least here in Portland, is that a single-family starter home on a loan end is $350,000. More often it’s like $500,000. That’s a big jump from a guy who’s paying $1,200, 1,300 a month in rent to go into that. Then if you don’t have the down payment and all that. Neal: It’s a huge number. It is an absolutely massive number and that, I think, is what is going to drive home ownership in this country. Darrin: Hold on, one second. You said that’s what will drive home ownership? Neal: Yes, exactly. The gap is going to basically drive down home ownership. Neal: Not drive home ownership but drive it down. There’s a study on my website from two academic professors, they’re really well known in the real estate community. They’re both from California, Meyers and Lee [phonetic]. It’s inside my Real Estate Trends Tool Kit. I want you to read it. It’s eight pages, but it has one graph that is incredibly stark and tells you what is about to happen. They have three projections for the U.S. homeownership rate between today and 2050. Those can be summed up as bad, worse, and catastrophic. There is no scenario in which U.S. homeownership rates stay where they are or anywhere close to where they are. The most likely scenario is we’re going to drop from 62% to 55% by the year 2030. That doesn’t sound like a lot, that sounds like 7%. But we are talking about 20 million homes. Where’s the inventory? We have struggled mightily throughout this process, throughout this timeframe to build 300 apartments. We’ve never been able to really go above that limit, simply because the cost of construction is so high. If we take four years to build a million apartments and the homeownership keeps plunging that way, why would our industry worry about long-term trends? Recessions will come, recessions will go. The key thing is, assume the fact that a recession is coming and behave accordingly. Buy rate caps, if you’re buying bridge loans. Don’t get a bridge loan of two years. Get a three year, plus one, plus one. That way you have three years to start with for your bridge, then you have a fourth, then you have a fifth. Plus, you have a rate cap. When you’re doing those kinds of things, why worry about long term issues when you know that in the long term, we are not building anywhere close to what we need to build on the apartment side. This is really bad news for the U.S. as a country, to be honest, because for the last 50 years, homeownership and home equity have driven most of the wealth of America and now we’re seeing a decrease in that, right? But obviously, as long as I’m not a politician and I can’t change policy, I might as well get on the right side of this one-time shift. That one-time shift is trillions of dollars being shifted from Main Street onto people basically in real estate and on Wall Street. Darrin: Right. The other thing I was going to ask what your thoughts are on this, is that I think that given the gravity of the last crash, I mean, this was not just a minor recession, this was generational. This was once in a lifetime correction based on multiple things and housing was probably the number one driver. But if you go back and you look at even the interest rates and how long the interest rates were kept artificially low, at a point where it encouraged—I mean, there’s all sorts of things. If you contrast that with rising interest rates, it just makes it that much more difficult I think for somebody getting back in the market. Whereas before, there was such an encouragement for people to get into the housing market, to buy a house, even if they couldn’t afford it, the interest rates and the money policies were pretty fast and loose and today, that’s just not the case. I mean, when you take a look at Dodd-Frank and all these other things. Neal: Well, I think that’s a point of view and I can’t say I agree with it. If you look at the total amount of multifamily that was sold in 2018, it was incredibly robust. It wasn’t the 2017 all-time record, but it was incredibly robust. If you look at cap rates, they declined. Even though interest rates have now been increasing for what, 27 months, our cap rates declined in 2017. Cap rates declined in 2018. They’re still declining because the market has an appetite. One thing I want to point out, Darrin, is because you asked really what is an economic question, not a real estate question. Is there an appetite for the market to keep going forward? Absolutely. The reason for that is, we no longer live in the United States. We live in one global economy. In that global economy, there is one country, one major country, that pays interest on its bond. Right now, you can buy a 10-year treasury bond in the U.S. and get 3% interest. Where else in the world can you get more than 1%? Nowhere. You cannot get more than 1% on a 10-year treasury bond. What that means is that there’s trillions and trillions of dollars of pension fund that is chasing yield. That trillions of dollars in pension funds, a very significant portion of it ends up in the U.S. every single month. Apparently we’re getting $40 billion a month in in-flows from those kinds of funds because they don’t want to be in Switzerland where you buy a 10-year bond and you pay the government. Does that make any sense? Neal: When you buy a 10-year bond and you pay the government for the privilege of lending them money? Neal: Same thing happens in Japan. Same thing happens in most of the European Union. We’re the ones paying yield and so money continues to flow into our markets and that money is not looking for 20%. That money is not looking for 10%. That money is really happy with 3 or 4%. Neal: That money is so enormous, it’s trillion with a T, that all of the other things that people like Darrin Gross and Neal Bawa think about, don’t really matter. The market is driven by the big T’s, not by the M’s, the millions that we live in. That’s what’s driving the U.S. market and that’s why cap rates have declined for 27 straight months while interest rates have increased. Darrin: That’s fascinating. Or not fascinating, but I love the way you kind of summarize that and kind of tie it all together there. But clearly there’s demand. There’s demand for return and there’s money looking for a return and real estate, especially multifamily, is a secure performer. It’s a proven performer, and why wouldn’t people, especially when you cite the fundamentals of the marketplace that continue to support it, why wouldn’t they continue to chase it. Neal: I think so. I don’t see most of what I’m saying as good news for syndicators though. If people like you and me that are buying multifamily, it’s becoming harder for us because we are struggling with investor expectations as the market becomes more and more expensive and as interest rates go up and up, it’s becoming harder and harder to give people 16, 15 or 14 IRR returns. But it’s stayed very difficult to—it’s been very difficult to readjust investor expectations towards lower returns. For us, it’s not a good thing. But I hesitate to say that the market is going to change, just because syndicators are feeling stressed about returns. I don’t think so. I think the market is much bigger than all of us put together. Darrin: Right, right. Definitely some words of wisdom there. Neal, I want to shift gears here, if we can. As you and I talked before we started recording a little bit. By day I’m an insurance broker and in insurance, we look at a couple different ways to manage risk, avoid risk, minimize risk, or transfer risk, which is where insurance comes into play. I’ve been asking my guests lately and looking for your response to this, what do you see is the biggest risk that you face or that investors face? Neal: Okay. I’m going to take that as a real estate question, not necessarily as an overall macro question. That would be another show. Neal: Firstly, it’s not interest rates. Read what our new Fed chairman is talking about. Read what all of the different governors are talking about. At this point, the Fed has turned very dovish [phonetic], they think we’re close to equilibrium, and recently, they’ve started talking about also slowing down quantitative tightening, which is the withdrawal of those $4.3 trillion that they dumped into the market after the Great Recession. I don’t think at this point interest rates are a risk or significant risk. Buy your rate caps, keep doing what you’re doing. I don’t think that the next recession is a massive risk because I think it’s a recession. Understand that either 2020 or 2021 is a recession year. You’re probably not going to provide cash flow to your investors. You’re probably going to suffer. You should have some operational money in your bank and be very careful. I would urge you that if you start seeing the economy turning, stop giving money to your investors. Stop giving them cash flow and add money to your operating budget. That’s all really that you have to do. Because it’s not possible from a financial perspective, for the next one to the big one. I still think there’s a big crash coming, but I don’t think we’re there yet. I think what is about to happen in the next recession is a normal, vanilla, U.S. recession, two to four quarters. You get some pain, you see some decrease in occupancy, your profits drop for a year, and then life goes on beyond that point. I’d much rather be in multifamily at that point than being, let’s say, hotels, which get hit a lot harder in those kinds of vanilla recessions. I don’t think that those two, interest rate and the next recession are two things to worry about. The biggest thing that I’m seeing to worry about in the marketplace is one that I’ve never heard anybody talk about as a systemic risk. What happened in 2006? Systemic risk was created by lending to people that shouldn’t have loans. That led not just to a U.S. real estate crash, but a worldwide financial crash. We are now creating new systemic risk through something known as opportunity zones. Opportunity zones were part of the new Trump law, the new tax reform bill, where hundreds of billions of dollars of stock market profits are being pumped into real estate, into distressed, no-growth or low-growth areas around the United States just in the name of tax benefits. What we’re doing there is incredibly dangerous. Here’s what we’re doing. You and I have been talking about how difficult the market is right now for new construction, right? Now we’re compounding it by saying, “Not only am I going to do new construction, instead of doing it in downtown San Jose or downtown San Francisco, I’m going to go to this distressed area where there’s all these low-end tenants that don’t have much money, and I’m going to build Class A buildings. By the way, instead of building a few million or tens of millions of dollars’ worth, I’m going to build 100 billion dollars’ worth every year for the next five years. That is a systemic crash waiting to happen. You cannot build this kind of inventory into distressed areas in simply 2020, 2021, and 2022 and not expect to have a crash related to that. I haven’t heard anybody talk about this, but I think to me, it’s obvious that the vast majority of opportunity zone projects will fail. Darrin: No, I love the parallel you draw on the ’07, ’08 there, based on the same kind of criteria. There you had basically the market was chasing a borrower that wasn’t going to be able to pay back the loan. Neal: Now we’re chasing a tenant who cannot pay the rent. Neal: Right? Hundreds of billions of dollars being spent on tenants in Class C areas, that are having—it’s tough enough for them to pay the rent that exists today. That’s why the area is not growing. Now you’re going to build a Taj Mahal on the other side of the street and expect them to pay 50% more? That’s the strategy. Neal: I see billion dollar funds. Fundrise has collected a billion dollars. Somebody has collected a billion dollars. Everyone seems to have at least a billion for opportunity zone. If you have a $500 million fund, you’re a nobody. And all these people are going to build Taj Mahals in Class C areas. How is that going to end? I mean, I don’t think that’s going to end well. Darrin: Let me put it this way: I’ve looked at some of the opportunity zones and some of them I would totally agree. Like holy moly, there is nothing there and there’s not a pulse. There’s no economic viability there. I’ve seen, on the flip side, I’ve seen some areas where there’s a neighborhood that’s already the prime neighborhood where all the building is going on and it’s been identified as an opportunity zone. I’m going, whoa. Those are the ones I’m going like, okay, I could see putting your money in those neighborhoods because you’ve already got this built-in demand. It’s more a viable. Neal: It’s a slam dunk, right? Neal: It’s a slam dunk. To me, the Brookings Institute Study just came out which said 19% of opportunity zones already showed signs of gentrifying. Right? Some signs. About 10% show strong signs of gentrifying. I think those 10%, let’s say that 30% of the money from the opportunity zones just goes into that 10%, I think that money will do fine. I think that money will be great, and those projects will pencil out. It’s the other 70%, that’s still going to end up being hundreds of billions of dollars that I’m worried about. I’m not worried about the gentrifying opportunity zones. Englewood in Southern California is awesome. East Oakland in the San Francisco Bay Area is awesome. Downtown Provo has an opportunity zone. Those are great! Neal: But there’s not enough land to build in those zones. There was enough land there to begin with. Darrin: Right. I think you bring up an excellent point though, if you’ve got so much capital chasing opportunity and they’re not really qualifying the opportunity, I mean, you’re basically wasting the opportunity. Neal: There was no opportunity to begin with. That’s my point. I mean, no pun intended, but there was no opportunity to begin with. This is stupid money. I’m going to give you a real anecdote, Darrin. I ran an opportunity zone webinar, because when I want to learn about something, I run a webinar because people then come and ask me questions and I’m forced to go and do a lot of research on it. I run this opportunity zone webinar. The guy calls me the next day and says, “Neal, I want to give you $750,000.” I said, “For what?” “Well, for opportunity zones.” I said, “But this is going to be a blindfold fund. You won’t even know where the heck this stuff is. And by the way, I don’t have an opportunity fund yet. I’m still working on trying to figure out if there’s enough properties here so that I can put your money in safely. He’s like, “No, no, no, no. I don’t care. Just create the fund, take my money, so I can basically not have to pay taxes and then figure out later where you’re going to put it.” Same guy, Darrin. What I’m saying is, this is the same kind of blindfolded greed that we saw in 2007. Same exact greed. Darrin: Right. Right. No, you make a good point and if that’s a prediction, I’ll bet you it bears some fruit here as we go along, just based on—and again, it’s the, like you said, the greed, the money, it’s just chasing something, or it’s trying to avoid the penalty of tax and not necessarily looking at the opportunity or the fundamentals. Neal: I’ll give you one last piece before we get off of this, right? Who is supposed to be—opportunity zones is all about new development, right? Neal: The law doesn’t allow regular buildings to be used. Who is doing these? Well, developers. Guess what the law says? After you build the building, you have to hold onto it for at least eight more years, right? Ten year minimum. I’m saying, what infrastructure are you going to build to hold this big new opportunity zone portfolio? Well, we haven’t thought about that. Right now, we’re just building the buildings, we’ll figure it out later. Right? You’ve never managed buildings. You’ve never managed any kind of buildings. Not even Class A. 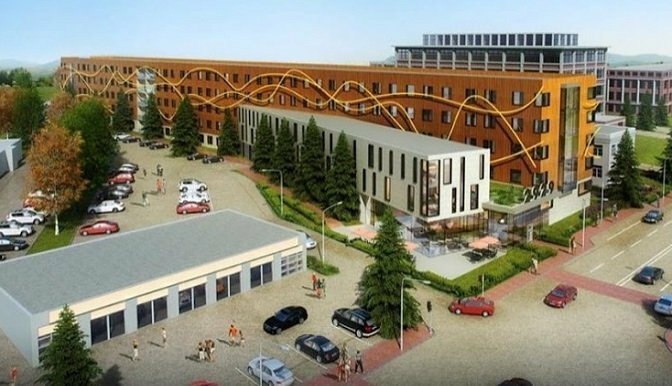 So, you’re going to go into a Class C area with Class C tenants, build a Class A building in the middle of that with really rough tenants who are not going to pay you rent and then you are going to hold it for 10 years without an infrastructure? Darrin: And that is exactly that lesson. I’ve talked with others who bought the D property versus the B property and they understand why the D property is a D and the B is a B based on just the probability of getting paid that loan. Interesting. Neal, I want to be respectful of your time and want to ask you, where can the listeners go if they’d like to connect or learn more? Neal: My website is MultifamilyU.com. That’s Multifamily followed by the letter U dot com. I do 50 webinars a year and The Real Estate Trends Webinar is both a webinar and a massive tool kit of research. Dozens of articles, white papers, videos, that basically support the sort of research that we’ve been talking about today and then hundreds and hundreds of investors have invested with me in my portfolio. I’m a geek, I’m a data scientist, so if you like the use of data science to buy and manage multifamily, or you like the sort of optimizations that I’m doing with my Philippines team, I’d love to talk with you, and have you invest passively with my company. 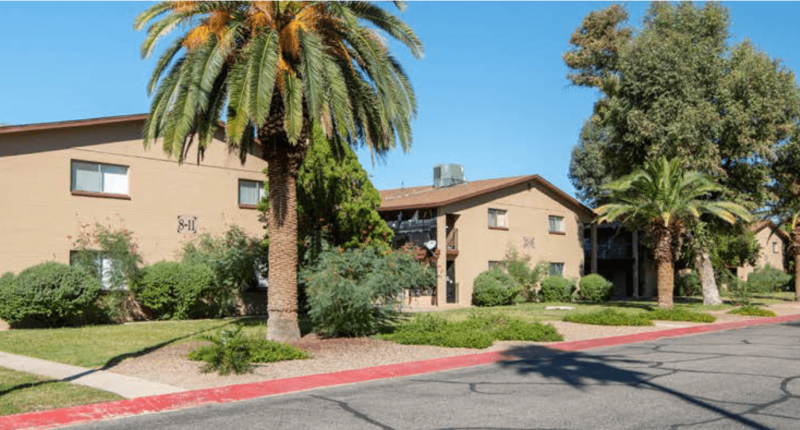 But the starting point is still MultifamilyU.com. If you’d like to take a look at our syndications, they are at Grocapitus.com. Darrin: Awesome. Neal, I can’t say thanks enough. I’ve enjoyed it thoroughly and learned a lot. I hope we can do it again, soon. Neal: Absolutely. I’d be happy to come back whenever you’d like to have me back on the show. Darrin: All right. For our listeners, if you like this episode, don’t forget to like, share and subscribe. Remember, the more you know, the more you grow. That’s all we’ve got this week. 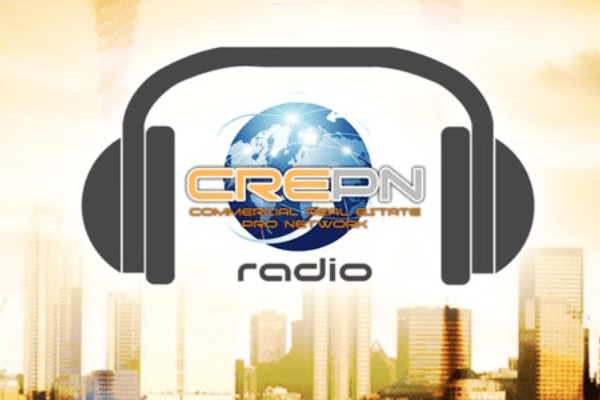 Until next time, thanks for listening to Commercial Real Estate Pro Networks, CREPN Radio. Announcer: You’re listening to CREPN Radio for influential commercial real estate professionals. For more information on this or any of our guests, like us on Facebook, CREPN Radio.